We are a leading organiser of premium triathlon, cycling, swimming and running events, and we provide dedicated coaching service. Each athlete is our centre of attention, regardless of ability. Our events are designed to provide compelling experiences BEYOND sport where the finish line is a milestone on the journey to a better life. 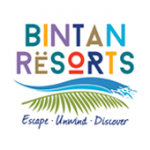 Treat yourself to a weekend of multisport, family fun and relaxed beach vibe in Bintan, Singapore’s favourite weekend getaway. The stunning island course will tantalise your sporting senses before you unwind in the tropical sun or join the festivities at the evening Beach Party. Bring the kids, or your best buddies. suitable for all levels, from beginners to advanced athletes. Join our unlimited session packages and watch your training reach new heights! To help you better prepare for race day, MetaSport is offering you tailor-made training clinics. Try out our training sessions for free! You can sign up for a free trial session now. Great organization! MetaSport puts on quality events. Just like Australian tennis open!!! I have been a participant of this event for the last few years and have always found it to be very well organised, so a big shout out to the team behind the event. The MetaSport Sprint series is a wonderful event for all ages of triathletes, including us week-end age group warriors. This is our third year to participate and rest assured, we will be back next year for more action. Keep up the excellent work.